Step2 recently released NEW Disney Pixar© Cars 3™ toys and they are AWESOME! Miranda from Thrifty Nifty Mommy just had the chance to check out the Disney Pixar© Cars 3™ Ride Around Racer™ and she's got all the details on this new ride-on from Step2. Be sure to check out her full review to see Lightning McQueen in action! 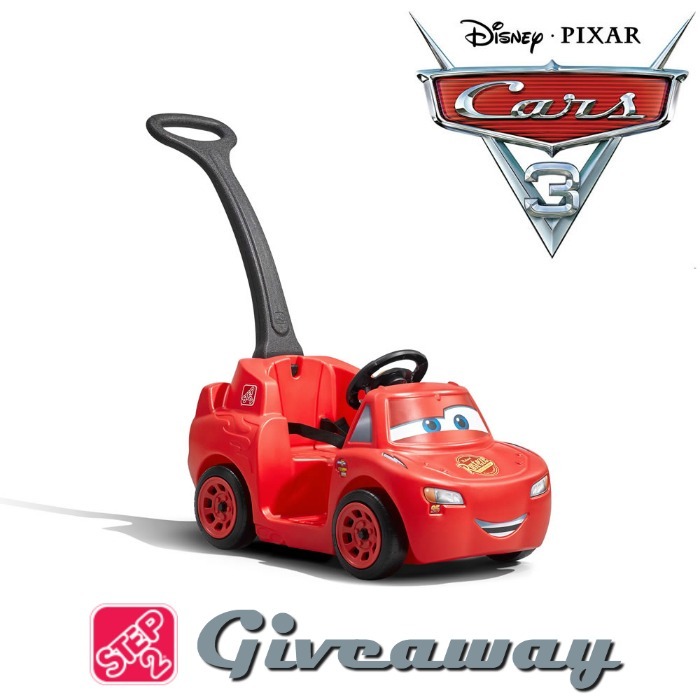 I'm teaming up with Thrifty Nifty Mommy and our friends at Step2 to give a Disney Pixar© Cars 3™ Ride Around Racer™ to one of you! Here are some details from the Step2 website: Little racers will be the fastest on the block in this Step2 Cars 3 Ride Around. 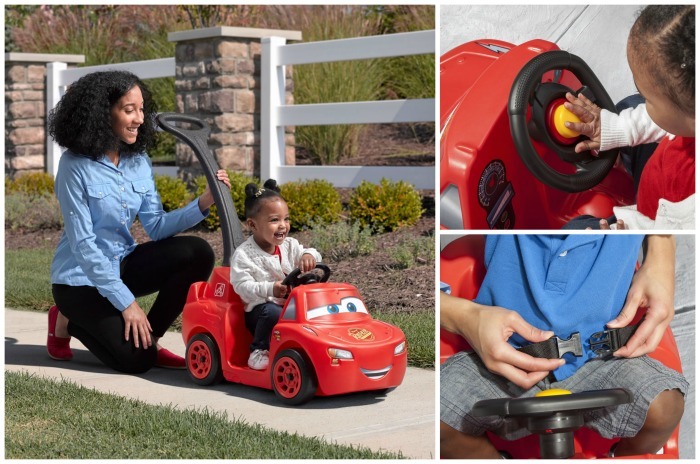 This kid’s ride-on features an interactive steering wheel with real honking horn to let your little one pretend they are really riding inside of Lightning McQueen. Toddlers will want to take a quick spin around the track in their Lightening McQueen-themed push car. Kiddos will enjoy a comfortable stroll around the park or zoo in this sturdy and spacious toddler racing ride-on. Made in USA of US and imported parts. Open to the continental US only, ages 18 and up. Ends on 9/13/17 at 11:59 PM EST. Enter using the Giveaway Tools form below. Good Luck!